For consideration in your favorite pictures segments, I have attached a couple of my favorite selfies. I am a retired T-girl living in a small town in south-central Ontario, Canada. 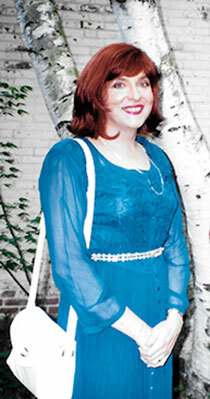 Like many of us, I have been dressing since I was 10 or 11 years old. Adulthood and a career allowed me to build and maintain a reasonable closet full of femme clothes. Singlehood allows me to dress as much or as little as I like. However, for most of my life, this was behind closed doors and drapes. Discovering your blog a couple of years ago and following you in your adventures has given me the incentive and courage I needed to venture out en femme in my local towns. I generally prefer to "blend in" rather than "stand out," so while I run most of my local errands en femme, I will mostly be seen in jeans and a sweater rather than a dress or skirt. However, I do occasionally venture out in an "office girl" outfit of skirt and heels if I have an errand to run where I would not look too out of place. So far, I have been pleased with the general lack of notice taken of me in either guise. I have recently opened up a Flickr account as "alisonmcd1" and am about to upload some video to YouTube as "alisontrt" to see what the world, in general, and the T-world, in particular, thinks of my alter ego. Wearing Zuihar Murad dress and Christian Louboutin shoes. 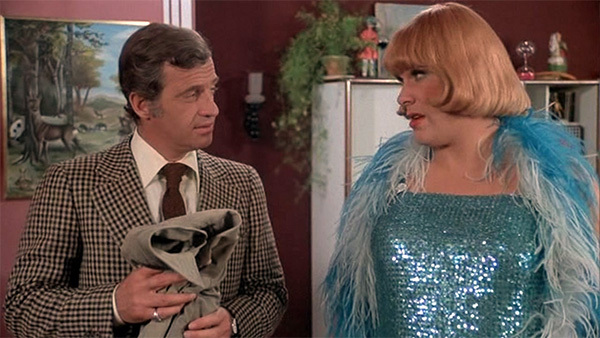 Claude Brosset femulating in the 1976 French film Body of My Enemy. That's fabulous, Alison! I agree, Stana is a real inspiration. Two weeks ago, I appeared in public en femme for the first time ever. Not exactly being like Stana, I went casual--capris, comfortable yet feminine sandals, revealing top, jewelry. I walked all over the place in downtown Minneapolis, went into shops, ate at Chipotle. No one batted an eyelash. There was not one turned head, whisper, or cross-eyed look. Okay, it's Minneapolis, it was Pride weekend, maybe they expect this? Whatever, seemed like a lot of regular folks and I just blended in. Then I met up with an old friend (a woman) at Betty Dangers. I had said to her I had something important to tell her. She was actually relieved when I told her I was trans and had been forever (I've known this friend for 40 years). She thought I was going to tell her I was sick with something. Thank God it's only trans! I don't think the news surprised her a bit, actually. She was so completely supportive. 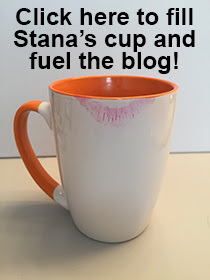 Here's where I tear up a bit, realizing how much I appreciate Stana and this blog. Thanks. Congratulations on getting out "en femme". It is a lovely experience. Like you, I prefer to blend in when I'm out among the "civilians". However, I never wear shorts or slacks. While it's true that extreme over-dressing will attract attention, many cisgender females wear a skirt or dress anytime and anywhere. I wouldn't wear a prom gown, bridal gown, or cocktail dress except when they would be appropriate. But a regular dress or skirt really attracts no more attention than slacks. A dressy skirt/top or dress works fine in any upscale environment, including restaurants and shops. Even a fairly dressy skirt/top or dress or skirt suit works fine in most shopping malls, since many cisgender women that work in the finer stores there wear a business skirt suit or dressy dress. In a nice mall, the "civilians" may just think you work at the mall.